A two-car train enters the Target Field terminus of the Metro Green and Blue light rail lines. Join us as the ERA returns to Minneapolis and St. Paul, the crossroads between the nation’s east and west coasts fondly known as the Twin Cities. Our last visit to the Twin Cities was in 2005, shortly after the opening of the highly successful Hiawatha Line, now known as the Metro Blue Line. Our 2014 Annual Convention will occur soon after the scheduled opening of the new Metro Green Line (formerly called the Central Corridor) connecting downtown Minneapolis with downtown St. Paul and will feature trips on the Northstar commuter rail line, rides on the historic Como-Harriet and Excelsior streetcars, and visits to the Minnesota Discovery Center trolley operation and the North Shore Scenic Railroad out of the historic Duluth Railroad Depot. The Minneapolis-St. Paul-Bloomington, Minn. metropolitan area is home to 3.4 million people and is the nation’s 15th largest metropolitan area. The 12.3-mile Metro Blue Line opened in 2004 and carries 34,000 passengers per day, the nation’s 14th busiest light rail line. The 40-mile Northstar Commuter Rail Line opened in stages beginning in 2009, carries 2,400 passengers per day, and is the nation’s 19th busiest commuter rail line. The Metro Green Line, opening June 14, will add another 11 miles to Metro Transit’s light rail network and carry an estimated 40,000 passengers per day, superseding Metro Transit’s busiest bus corridor. Both cities are not only re-emergent traction and railroad centers but also have a great deal to see for spouses and significant others. The Twin Cities are easily reached by air, rail and bus. Amtrak’s Empire Builder and additional direct train service serve them from Chicago, with connections to the rest of the U.S. So mark your calendars for August 31 to September 2 and plan to join us! The luxurious Hotel Minneapolis will be our convention headquarters and the site of our Annual Banquet. Formerly the historic Midland Bank Building, built in 1906 to house the Security National Bank, it was transformed in 2008 into The Hotel Minneapolis, a luxury hotel and award-winning restaurant of seamless integration between contemporary convenience and historic significance offering four-star amenities and personalized service. The hotel is centrally located to all Twin Cities attractions. It is conveniently connected to Minneapolis’ second-floor Skyway System and is steps from the bustling Minneapolis Nicollet Mall shopping district, historic 1883 Stone Arch Bridge, St. Anthony’s Falls, the picturesque 1-mile St. Anthony’s Falls heritage trail, and the renowned Guthrie Theater. A short bus ride on the Nicollet Mall buses will take you to the Theater District and the 11-block Eat Street of ethnic restaurants lining Nicollet Avenue between 13th and 29th Streets. 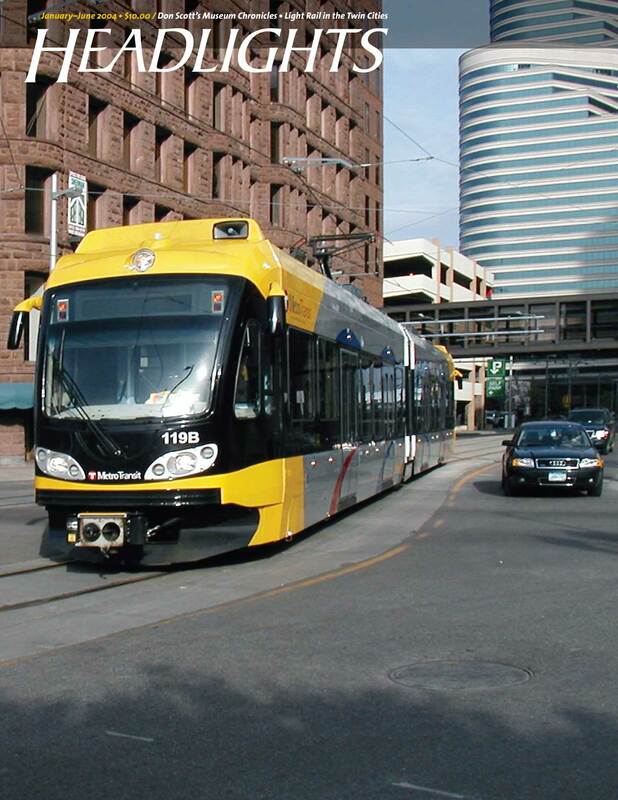 Both light rail lines are one block from our hotel with direct connections to Minneapolis-St. Paul International Airport in under 30 minutes or the Mall of America, the world’s largest with over 500 stores, within 40 minutes. The new Green Line and Metro Transit’s excellent bus network also connect to other sites such as the Chain of Lakes (four picturesque lakes and trails in Minneapolis’ southwest side), Walker Art Center and Minneapolis Sculpture Garden, Our Lady of Lourdes Church (the city’s oldest), the University of Minnesota, the majestic Cathedral of St. Paul, Minnesota History Center, State Capitol, Summit Avenue Historic District, or Grand Avenue Shops in St. Paul. Book your reservation either by calling the Hotel Minneapolis direct at 1-612-340-2000 (see Book Your Reservation by Phone below for special instructions) or book online (see Book Your Reservation Online below for our special links). The cut-off date for reservations is August 11 OR when our room block has been fully booked, whichever occurs earlier. Reservations booked after August 11 will be accepted by the Hotel Minneapolis at the special lower convention rate at hotel’s discretion based on availability. Our first excursion departs early Sunday morning, so we urge members to plan on arriving no later than Saturday afternoon or evening. Arrive early! Then join us at the Hotel Minneapolis for a slide and video presentation on Twin Cities and Duluth traction history by the Minnesota Streetcar Museum, our host of our Labor Day heritage streetcar trips. Doors open at 7:30 PM and our program begins 7:45 PM with a brief welcome by the ERA board of directors and then our featured program. A time-lapse tour of the Green Line by Cynick, who walked the entire route with a tripod-mounted camera. Presenting this program is Aaron Isaacs, the Minnesota Streetcar Museum’s historian and also author of outstanding and comprehensive histories of the Twin Cities and Duluth streetcar systems. He is co-author of The Como-Harriet Streetcar Line: A Memory Trip Through the Twin Cities, Twin Cities by Trolley: The Streetcar Era in Minneapolis and St. Paul (the most recent big book on the Twin Cities streetcar system), and author of the forthcoming Twin Ports by Trolley (about Duluth-Superior), due out next fall. It promises to be a simulating and informative evening! Early start! Our chartered motor coach will leave the Hotel Minneapolis at 7:00 AM sharp headed to Duluth, Minn. Breakfast will be available starting 6 AM At the historic Duluth Union Depot, we will board the 10 AM North Shore Scenic Railroad train trip for a 90-minute excursion along the Lake Superior lakefront from Duluth to the Lester River and return. This is part of the historic 26-mile Duluth-Two Harbors railroad first operated by the Duluth and Iron Range Railroad beginning in the early 1890s. Upon our return, members will be served a box lunch (included in the ticket price) in the Great Hall of this 1892 French Chateauesque-style depot. Time will be allowed to explore the Lake Superior Railroad Museum housed at the Depot. The museum’s collection of railroad equipment features steam, diesel and electric locomotives, passenger cars, freight cars, dining cars and specialty equipment used by logging and mining industries. Another prominent display is Depot Square, a ¾-scale recreation Duluth’s downtown in 1910. It is claimed that this area had more millionaires per capita than any other U.S. state in the early 20th century. Next, we will travel to the Minnesota Discovery Center in Chisholm, Minn., approximately 100 minutes northwest of Duluth. The center is a 660-acre museum complex showcasing the history of iron ore mining in northern Minnesota. The highlight of the museum is a 50-minute ride on a restored 1928 Melbourne trolley car. The ride offers views of the Pillsbury Mine and includes a 30-minute visit at a preserved former mining community known as Glen Location. The community’s folk art demonstrators share pioneer life skills in authentic and recreated dwellings including a 1903 location house, bunk house and 1905 Finnish boarding house. The on-site Ironworld Museum also has two floors of exhibits about geology, mining, immigration and other aspects of the industrial and cultural history of the region including the evolution of industry on the Iron Range. Brush up on your knowledge of the Twin Cities with this special reprint of Ray Berger’s article on the opening of the Hiawatha Line from the January-June 2004 issue of Headlights. Minnesota Streetcar Museum’s Excelsior Streetcar Line, approximately 15 miles west of downtown Minneapolis, located on a former Minneapolis & St. Louis railroad right of way. The route passes under the former streetcar right-of-way, which is now the Hwy. 7 off-ramp into Excelsior. Minnesota Streetcar Museum’s Como-Harriet Streetcar Line: This is the remaining portion of the one-time longest and most heavily traveled Twin City Rapid Transit Company streetcar line from Lake Harriet through Downtown Minneapolis to Downtown St. Paul. The current heritage operation connects Lake Harriet and Lake Calhoun, two of Minneapolis’ picturesque “Chain of Lakes”. Minnesota Transportation Museum’s Jackson Street Roundhouse: This is a former Great Northern roundhouse built in 1907 to service passenger locomotives. It was restored by the Minnesota Transportation Museum in 1985 with the turntable installed and made operational. The collection features various locomotives, passenger and freight cars from the early 1900s through the 1950s. The tour includes time for lunch in the Hennepin Avenue and Lake Street area at Calhoun Square prior to our visit to the Jackson Street Roundhouse. Calhoun Square is an imaginative adaptation of existing storefront buildings into an indoor mall in Minneapolis’ historic Uptown Neighborhood. Return to the Hotel Minneapolis is planned for 6:00 PM to allow some time before the evening Annual Banquet. ERA’s Annual Banquet will be held in a private room at the Hotel Minneapolis. An hour-long informal reception and cash bar will begin at 7:00 PM, and dinner will follow promptly at 8:00 PM At the time of printing, a representative of the Metropolitan Council of the Twin Cities or Metro Transit has been invited to discuss the ambitious long-range transit plans for the Twin Cities metropolitan area. Programs underway include several projects currently under design or construction and ongoing alternatives studies to provide improved public transit services in numerous corridors considering a variety of modes including light rail, streetcar and bus rapid transit services. We will leave the Hotel Minneapolis at 8:00 AM and walk to nearby Government Plaza Station served by both the Blue and Green Lines. Those of you who purchase today’s trip will be provided with a Metro Transit 1-day pass good for 24 hours of unlimited riding on all light rail and bus lines. Representative(s) from Metro Transit will take us on a tour of both light rail lines using regular service trains, making stops at stations of architectural, redevelopment, local culture or operational interest. The detailed schedule has yet to be developed, however we anticipate touring the new Green Line first, then the Blue Line connecting downtown with both the Minneapolis-St. Paul International Airport and the Mall of America. This way, those of you who need to leave for the airport early can do so. We anticipate making the Mall of America our lunch stop. Following lunch, the group will reconvene at Target Field, terminals of both light rail lines and the downtown Minneapolis terminal of the Northstar Commuter Rail Line. We will take a round-trip journey on the Northstar Line departing Target Field at 3:57 pm. Northstar commuter rail is one of the nation’s newest commuter trains, which opened in 2009. We will return to the Hotel Minneapolis at 6:30 PM This concludes the ERA’s 2014 Annual Convention. Travel to the Hotel Minneapolis is as easy as it gets. Board a northbound Blue Line light rail train at either one of the two stations at the airport, Terminal 1 or Terminal 2. Take that train to Government Plaza station (about a 25 minute ride). Walk forward from the train past 3rd Avenue, one block west to 2nd Avenue. Turn right and walk one block north from 5th Street (where the light rail trains operate) to 4th Street and you’ve arrived at the hotel on the corner of 4th Street and 2nd Avenue. Local news is that the restored historic St. Paul Union Depot will serve as Amtrak’s St. Paul stop beginning in March 2014. To reach the Hotel Minneapolis, board a westbound Green Line light rail train in front of St. Paul Union Depot, the eastern terminal. Take the Green Line to Government Plaza station (about a 45 minute ride). Walk forward from the train past 3rd Avenue, one block west to 2nd Avenue. Turn right and walk one block north from 5th Street (where the light rail trains operate) to 4th Street and you’ve arrived at the hotel on the corner of 4th Street and 2nd Avenue. Confirm the St. Paul station location with Amtrak close to your day of travel to be certain. On your day of arrival, fares on Metro Transit (as of February 2014) were $2.25 for adults and $0.75 for seniors age 65 and up, including a 2.5-hour transfer privilege. Light rail trains have ticket machines on station platforms with random ticket inspections. Check metrotransit.org for any last minute changes. NOTE: Scheduled times given in this flyer are subject to change without prior notice. Daily trip itineraries may be changed without prior notice to ensure on-time return at the end of each day. Announcements will be made each day to update guests on essential information during all ERA events. Providing your phone number (and email address, if any) on your registration form is important. If you have questions regarding the itinerary or accommodations, please contact Bob Newhouser, ERA president and convention chairman, by e-mail at bnnyc1955@aol.com or call 917-482-4235. Join us in the Twin Cities for Labor Day Weekend 2014! The ERA’s 2014 Annual Convention covers two of the nation’s beautiful jewels of the Midwest, Minneapolis and St. Paul, and their rapidly expanding rail transit systems. You may register by phone by calling the Hotel Minneapolis direct at 1-612-340-2000 and ask for reservations. They will either connect you with their own reservation desk or the national desk (outside normal business hours). At either the hotel desk or the national “Autograph Collection” desk, ask for “The Hotel Minneapolis” reservations and most important, the “Electric Railroaders’ Association room block” to get the lower room rates of either $99 (king, one person) or $104 per night (two people in either king or two-queen room). To obtain these discounted rates, plus 13.4% sales tax, please book as soon as possible. The room rates are offered for the nights of August 30, 31 and September 1, as well as three days post and prior, based on availability. These discounted rates expire after August 11, 2014. Further offers of the discount rate after August 11th are at the hotel’s discretion on a space available basis. The Hotel Minneapolis is a member of Marriott Rewards points program. CANCELLATIONS: Cancellation must be received 24 hours prior to check in (6 PM) for refund. Your cancellation number MUST be obtained to ensure refund. Failure to cancel within 24 hours of arrival will result in forfeiture of one night’s room fee. NOTE: The Hotel Minneapolis does not accept reservations by U.S. mail. Please make your reservation either by phone or online as described above.